Menthol Flavor Ejuice is of the most popular flavors for entry-level vapers who have quit smoking cigarettes. The icy cool sensation of menthol ejuice is typically blended with fruit like strawberry, watermelon, or apple. Bring an excitement of a cooling rush on the exhale with these selected refreshing menthol flavored eliquids. There are many vapers out there who crave a punch of icy menthol whenever they hit their mod. If you’re a menthol fanatic, you’re going to love the selection of menthol-infused vape juices at Vape Society Supply. Our collection of menthol flavors is as enormous as it is diverse. 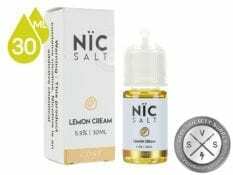 Whether your palate yearns for pure, unadulterated menthol flavor, a unique dessert that has that cool, minty taste, or even a tobacco-menthol combination, you’re destined to find your new all-day vape as you browse through our selection. Every brand that you love has created a Menthol Flavor Ejuice that can be found on our site. From Naked 100’s menthol-kissed fruit blends to Bazooka Sour Straw’s menthol-dipped candies, there truly is an icy flavor for every palate. All of the menthol flavors at Vape Society Supply are high in quality and full of that smooth, frosty taste that you crave.